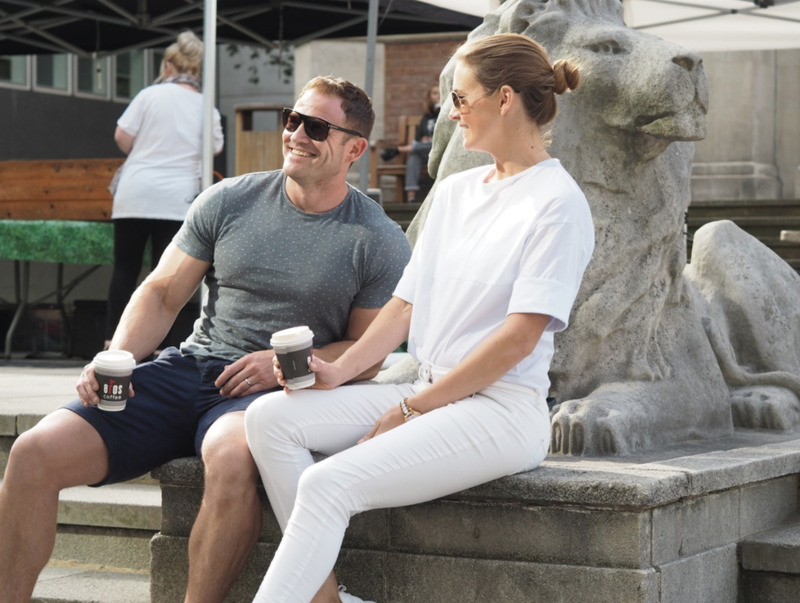 In 2015, super elite personal trainers husband and wife team Dylan & Linda Jones had a vision: to create a cutting-edge health & fitness system that would lead the way in bespoke personal training. They had a goal to help hundreds of inspirational clients who wanted more than just a traditional fitness app or workout programme. After spending over 10 years with so many incredible clients from royalty, actors, business people and new mums, they listened intently to what clients needed to reach ultimate health and wellbeing. And so P4 Body was born. In depth education, extensive experience stemming from around the globe combined with a total of over 20 years of hands on experience lay the foundation of P4 Body. With a young family of their own, Linda and Dylan hold a unique position of being able to completely understand their clients time and motivational barriers. Since the start of P4 Body, they have continued to grow in experience as well as client numbers. Their personable nature, enthusiasm, empathy and professionalism continues to be the driving force behind the success of P4 Body. With a future of exciting partnership and new techniques, P4 Body is committed to delivering the very best service for each and every one of their clients. P4 Body is a company that focuses on improving bodies and helping people. Both of these are key, and one is worthless without the other. Co-founders Linda and Dylan decided that they couldn't just sit by and watch so many people let their fitness goals slip away into nothingness any longer. Thatʼs why they decided to start P4 Body and develop a company that is committed to getting people to where they want to be in life. The highly successful P4 system is centred around their 4 principles of health - Programme, Performance, Posture and Physiology. From signing up to reaching the most ambitious body goal, the training and wellness system is split into 3 training phases. Each phase progresses upon the last successfully taking you to ultimate health in a motivated, safe and professional way that no other personal online training system or app in the world comes close to. A combination of bespoke fitness planning, 1 : 1 training and innovative video plans have helped the company to push forward and offer something genuinely new. With the help of P4 Body, people no longer have to go to the gym each day or rely on the same old failed diet plans that never yield long-term results. Things are changing in the world of fitness training, and P4 Body is a company at the forefront of this change. Itʼs our mission to assist you on your own personal fitness journey. Having faith in the services we offer will make you feel more energised and improve so many aspects of your life. This excites us. This motivates us to do what we do. There is nothing more fulfilling or as exciting as changing people’s lives for the better. Motivating you and giving you the support you need to get to where you want to be is what weʼre good at and what we love. Your trust and inspiration are never taken for granted or under appreciated.